Hindi TV Packages as low as – $19.99/mo. *Advertised price requires credit qualification and eAutoPay. Upfront activation and/or receiver upgrade fees may apply based on credit qualification. – $240 Savings Offer: Valid for activation and installation of qualifying new DISH service. Requires subscription to a qualifying American or DishLATINO package in addition to Hindi Mega or Hindi Elite. Receive a monthly credit of $10 for the first 24 months. – Some packages require additional subscription to qualifying international programming. All the best Hindi channels in the USA are available on DISH! With tons of package options, from the entertaining Hindi Mega Pack to the informative Hindi News Pack, there is a collection of Hindi TV channels to fit every family’s budget and lifestyle. Watch favorites from home, including Zee TV, SET, Willow Cricket and more when you choose one of DISH Network’s Indian packages. 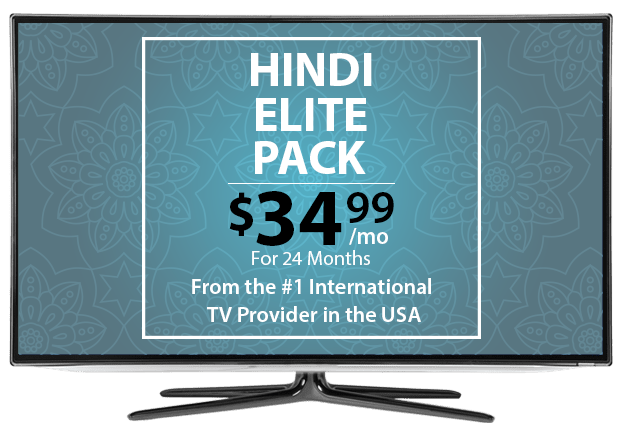 The Hindi Mega Pack offers dozens of Indian channels for $54.99 per month. The best Hindi TV is available in this collection, with channels from B4U, NDTV, Rishtey and Zee TV. Watch news, sports, movies, dramas and kids’ TV from India, all in Hindi, broadcast in the USA. The Hindi Mega Pack can be added to an America’s Top or DishLATINO package and you’ll save $240 over 2 years. The whole family will love the Hindi Premium Pack, with drama, kids’ TV shows, sports and news. The younger members of your family will love Halla Bol!, MTV Hindi and Zoom. There’s also news from home on AAJ Tak, Sahara Samay and Zee Business. This collection of Indian channels in the USA helps you balance entertainment and budget, with numerous dramas, movies, sports and more available for $34.99 per month. Watch news, serials and cricket with channels like SET, and Willow Cricket in HD. Subscribe to the Hindi Elite Pack with an America’s Top or DishLATINO package and save $10 per month for the next 2 years! Start watching shows like Yeh Moh Moh Ke Dhaage and Sabse Bada Kalakaar on SET. Enjoy Sarayan Nar Seva and Zindagi Ki Mehek on Zee TV. All of this and more is available in high definition in Hindi with the Sony & Zee TV pack from DISH. These Hindi TV channels from India are delivered right to your home for as little as $39.99 per month when paired with the International Basic Package! Add Aapka Colors and Zee TV in HD with this DISH TV Indian package, available for $24.99 per month with your TV plan. Enjoy emotional dramas, family serials and thrilling narratives. Get to know characters from new Hindi dramas like Savitri Devi College & Hospital and Piya Albela. Add the Hindi Movie Pack to your DISH Network Indian channels for just $19.99 per month. Bollywood films new and old are broadcast on B4U Movies, SET Max, Zee Cinema and more. This collection of premium Hindi channels also offers cricket and other sports for high quality entertainment from India. Get the latest news from Ahmedabad with the only Gujarati news channel, TV9 Gujarati. DISH customers can enjoy news updates and entertaining TV shows for $10 a month by adding the Hindi TV9 Gujarati Pack to their TV package. To watch this Hindi channel package, you must also subscribe to another qualifying international program. When you subscribe to another qualifying international package, you can add channel 703, Zee Cinema, to your DISH TV lineup. Zee Cinema offers new movies from Bollywood as well as classic favorites. Join millions of viewers from India and around the world and start watching Zee Cinema in the USA with DISH! The Hindi Spiritual Pack delivers religious and spiritual programming to your home. Join in the yoga practiced on Aastha, or witness live Gurbani on JUS One. This collection of Hindi TV channels is available to DISH customers who also subscribe to other qualifying international programming. Keep up with news, current affairs, political happenings and business updates with a subscription to DISH’s Hindi News Pack. This collection of informative Hindi TV channels, including AAJ Tak, News 18 India and Sahara Samay, is available when you subscribe to another qualifying international programming package. When you subscribe to another qualifying international package, you can add the Hindi Masti Pack to your DISH TV plan. This add on pack offers the latest music and Bollywood news that younger members of your family will love. Chart-topping hits from India and around the world are on B4U Music, NDTV Good Times, Sony Mix and more! Personalize your Hindi TV package with extra channels from around the world, including Willow Cricket HD, NDTV 24*7, France 24 and more. Enjoy more news, sports and global entertainment at a budget-friendly price with these add-on packs, designed with international families in mind. To enjoy any of DISH TV’s Indian packages, subscribe to a base TV package and then add on one or more of the Hindi-language packs below. Start with the International Basic Package for just $17 per month, or choose the variety-filled America’s Top 120 Plus package. 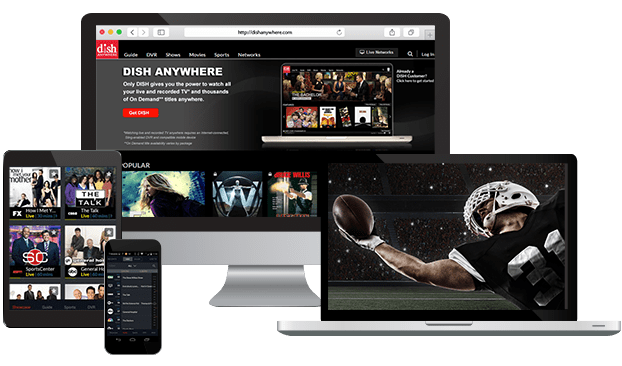 When you add the Hindi Mega or Elite Pack to an America’s Top plan, you can save $10 per month for 2 years on your DISH Network Indian channels.